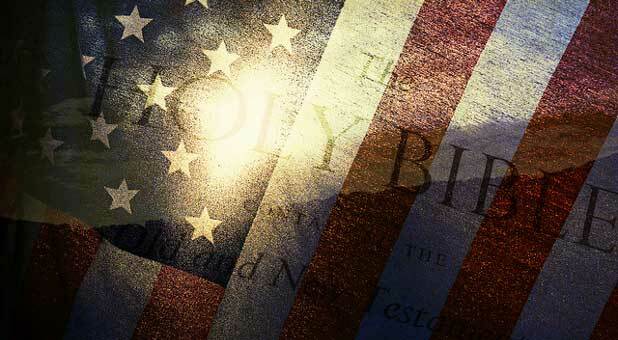 Is the American Model of Government Biblical? In 1787, after a long hot summer of debate in Independence Hall, Philadelphia, delegates from the thirteen American colonies approved the final draft of the United States Constitution. Throughout these months, Mr. Chairman, I have listened to the arguments pro and con while my eyes constantly looked up to the dais and your chair which sits there. On the top slat of your chairback, there is carved a sunburst. I have wondered during these days whether that sunburst represented a setting or a rising sun. With the adoption of this Constitution, I am now persuaded it is a rising sun. What kind of government does a nation have whose sun, from God's perspective, is just beginning to rise? And, what kind of self-government do you exercise over your own life which brings God's approval? Solomon tells us in Psalm 72. How do we determine right from wrong? By the vote of a legislature? By an act of a president or executive? The decision of a judge or judiciary? Solomon knew better. The moral law comes from God, and wise rulers seek the endowment of His justice and righteousness (Psalm 72:1). Human society ultimately breaks down when laws derive from the politics of the moment rather than the standards of the Almighty. Any branch of government losing this perspective descends into the quicksand of moral relativity and ethical chaos. As example, the same year (1973) the United States Supreme Court decided to legally permit abortion (resulting in approximately 1.5 million abortions annually) it also blocked development of a dam in Tennessee to protect the snail darter, a 3-inch fish. In the Court's twisted thinking, fish had an inalienable right to life—not children in the womb. The decision is only one example of the many ways our society seeks to make a moral wrong a legal right. Persons of faith know God has instituted government to validate and implement the moral law (v. 2), and thereby promote the common good (v. 23). Good government always defends the afflicted and needy and oppresses the oppressor, because such action is consistent with God's own personality (v. 4). How long will a good government last? Solomon believed that if his administration built upon the qualities of justice described in verses 1–4, then his tenure would endure (v. 5). Moral gov- ernments foster and promote stability and prosperity (vv. 6,7). Solomon also believed that a nation would be strong if its government was rooted in God's moral law (vv. 8–11). When justice is at its peak, the borders and influence of a country do extend outward. By contrast, God's Word in Isaiah 47 shows us the demise of a mighty world power when it becomes cruel to His people (v. 6), proud and self-reliant (vv. 7–9), wicked (vv. 10,11), and occult (vv. 12–15). As king, Solomon knew he had a responsibility to the poor. He got that concept from the character of the Lord he served (vv. 12–14). It's not just the spilled blood of the rich or famous which is precious; it's the unnoticed person—the homeless, the orphan and widow, the abandoned, dispossessed and oppressed—the very ones society discards. A government of godly justice sees great worth in the weak and the helpless, and does not disregard them, stamp on them, or crush them. When true victims are protected and helped, the nation flourishes (vv. 15–17). Solomon never confused his administration with God himself. It was not "My country, right or wrong." God stands over the government. It is He "who alone does marvelous deeds" (v. 18). The glory of the earthly king or government cannot compare with Him to whom we say, "Praise be to his glorious name forever; may the whole earth be filled with his glory. Amen and Amen" (v. 19). The psalm ends with a postscript, concluding this second book of the Psalter (Psalms 42–72) as "the prayers of David son of Jesse"—the chief, but not the only author of the psalms in this series. (See v. 20.) It is a fitting finale. David laid the base for Solomon's long successful reign. The often lonely and restless nights of David's pilgrim life were over—and the result was stability for his son and people. In his own self-sacrifices, David birthed an era of security and justice to follow after him. That's a solid reward for all the terrifying and testing wilderness moments he faced in his effort to serve God in his own generation. George O. Wood is general superintendent of the Assemblies of God.